Benefits: Abscess, acne, allergies, asthma, athlete’s foot, boils, bronchitis, bruises, burns, childbirth, chlorosis, colic, conjunctivitis, cramps, cystitis, dandruff, depression, dermatitis, diarrhea, diphtheria, dysmenorrhea, dyspepsia, earache, eczema, flu, gall stones, gonorrhea, halitosis, headache, hiccups, hoarseness, hypertension, hysteria, inflammations, insect bites and stings, insect repellant, insomnia, laryngitis, leucorrhea, lice, lumbago, migraine, nausea, nervous tension, psoriasis, rashes, rheumatism, ringworm, scabies, sciatica, scrofula, shock, sore muscles, sprains, stiff joints, stress, sunburn, sunstroke, throat infections, tuberculosis, typhoid fever, ulcers, vertigo, vomiting, whooping cough, and wounds. Of Interest: The name “lavender” is derived from the Latin lavare, meaning, “to wash”. Known as one of the seven polyvalents (effective against many toxins), which are applicable to many ailments. Greeks and Romans perfumed their bathwater with lavender, burned lavender incense to appease their wrathful gods, and believed the scent of lavender to be soothing to untamed lions and tigers. Safety Data: Non-toxic, non-irritant, and non-sensitizing. Lavender is an essential oil super star. It calms the skin & senses, and is naturally probiot..
A daily reprieve, this renewing blend of Lavender, Ylang Ylang and Chamomile has the ability to prom..
Beautiful, nourishing Ylang Ylang and Lavender oils combined with chamomile flowers calm irritate..
Home-Pillows-Body Lavender has been used for centuries for its superior calming effects on bo..
Our calming mind, body & spirit formula can soothe the heart, relieve anxiety and dissolve re..
A perfect blend to balance hormones during times of menopause, pms and stress. 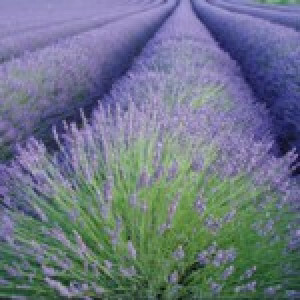 It is also great f..
-A collection of best selling Lavender products in a sheer purple bag. This bag also comes em.. Glowing skin is in! Lavender & Black Sea Salt Body Polish will slough off tired sk..